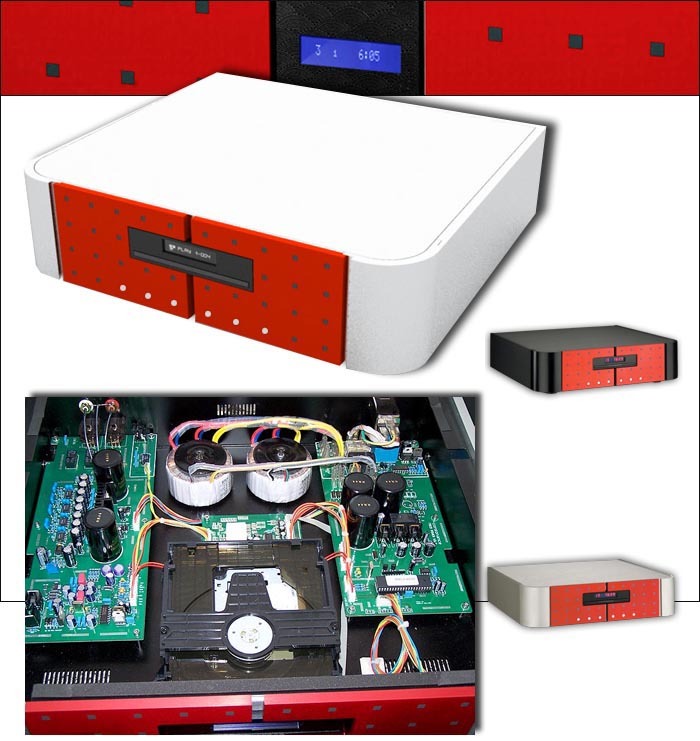 I had a fun time unpacking the Turandot CDP and Calaf integrated amp. My kids were helping. After we finally pulled off all of the protective covering, my daughter said, "Wow, neat Legos." The Lego look comes from the colored block sections with square-holed pattern that make up the front (red in the case of my review pair though black is available as well). The main chassis of both components are made of brushed and clear-anodized aluminum (black is also available). Appearance is appealing and eye-catching. It's unlikely that anyone would confuse these units with a competitor's. I am inclined to jump ahead and say how much I liked this Forbidden City duo. It was fun putting it together with my kids and they enjoyed using it because of its simplicity when compared to my current reference system. A hobby should be fun. The Forbidden City system reminded me why I got into this hobby to begin with - to enjoy the music. Both the Turandot and Calaf have remotes. Those are simple to use and trouble free. The CD player and amp have front-mounted power buttons. The other buttons (five on the CD player, four on the amplifier) are identified by tiny icons [see above]. Small LED display windows on the front of each unit show track numbers for the Turandot as well as repeat or repeat all, stop and pause. The Calaf displays input channels 1-5 and volume or mute. If you are not at eye level, you have to get fairly close to the displays to read the information. This is not a problem since you'd be using the remotes. That's obviously how the designers planned it. The Turandot player's remote suffers limited line of sight so you must point it nearly straight on to work. Opera Audio provides user manuals for both units that are very clear and simple to read. They explain the use of those mysterious unmarked front panel buttons on the Calaf should you want to use them. The remote for the CD player covers all the expected standard functions - open, play, repeat (once to play the entire CD, twice for a single track), previous, next and stop. The remote for the amplifier covers volume, mute and source selection. Both units must be turned on manually. I gave the Turandot and the Calaf fifty hours of play to get things settled in above and beyond the pre burn-in which the importer had already taken care of. The Calaf with its twin JJ/Tesla 6922 triodes in the preamp section really benefited from the additional break-in time and improved the more I played it. Some quick information on the Calaf. It weighs a hefty 85 pounds and is 17½" wide by 18" long and 7¾" tall. Throughout the first 40 watts, the Calaf operates in Class A. After that, it is rated at 200wpc and can drive speakers as low as 2 ohms. Its gold-plated RCA and XLR inputs are solid and of high quality. 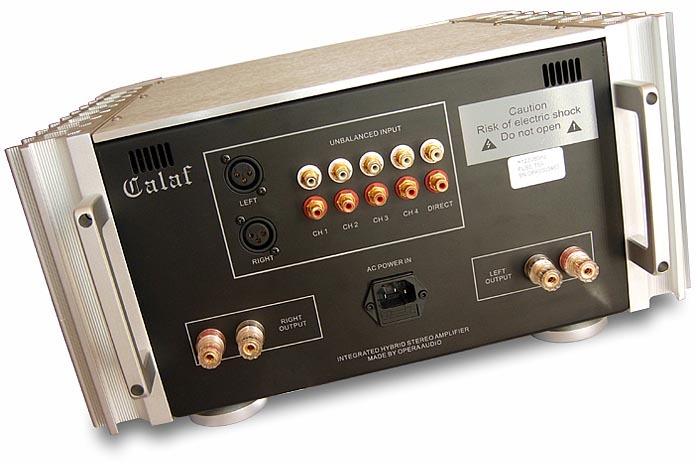 A pre-out allows bypassing the amplifier section to use the Calaf as a dedicated preamp (for a surcharge, it can even be ordered with an optional MM/MC phono section). The Calaf has five separate inputs. The details of manufacture and layout are very good. The clean wire routing to high-quality components is evident throughout the chassis. 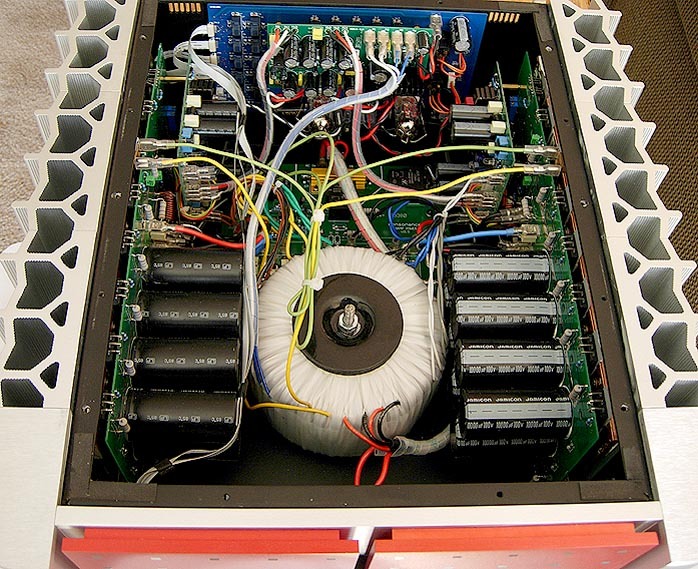 The first surprise from this amplifier was how much punch and control a mere 200 watts generated. I remember back in the late sixties when Chevrolet rated their 427 cubic inch L88 and ZL1 engines at nearly 100 horsepower less than they were producing to appease insurance companies. The Calaf sounds like it is outputting more than the specifications suggest. In my bio, I have commented previously on using the Bryston 7BSTs or SSTs with my B&W Matrix 800s to try and improve bass and presence. 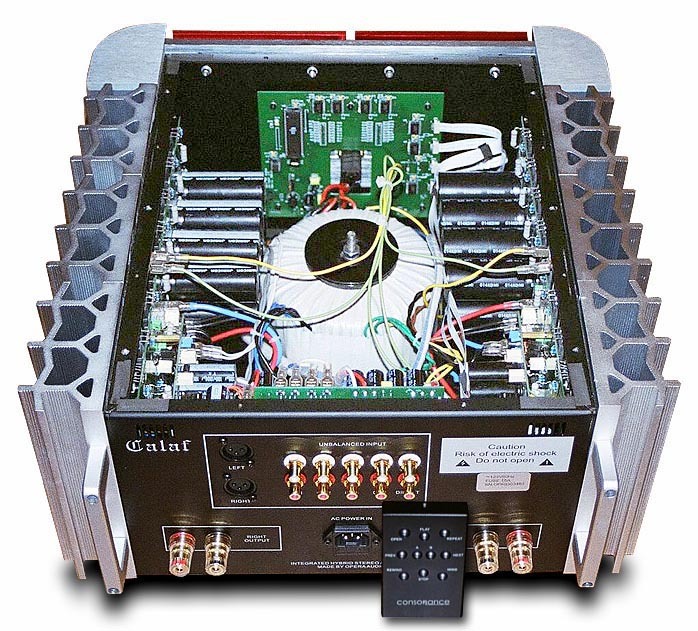 The Bryston 7BST monoblock is rated at 500 watts into 8 ohms, the 7BSST at 600. The Vincent SP-991 monos replacing the Brystons are rated at 300 watts. In terms of power rating, the Brystons win, followed by the Vincent, then the Calaf in last place. In terms of which one produced the best sound from the B&Ws, the reverse was true, with the Calaf coming out the gold medalist. The Brystons were bright and edgy in the treble and a little veiled in the midrange. They did recreate the male voice well but really fell apart with detail and clarity when challenged by Linda Rondstadt's rendition of "Am I Blue" or "Straighten Out and Fly Right" from For Sentimental Reasons [Asylum 604742]. The Vincent fared a little better by providing a cleaner and more detailed treble and vocal range. The Calaf was smooth, quick and articulate and not the least bit bright. The transients and control on the horn section of "Straighten Out and Fly Right" were concise and sharp. The Calaf had the better balance between clarity, detail and control, performing best in creating a stronger presence or feel from the music. In the bass, the Vincent SP-991 was a little quicker and more controlled, with a little more punch than the Calaf. Surprisingly, the Calaf had more bass and control than either of the Brystons. About midway through the review period, I had the opportunity to try the Silver Oval interconnects and speaker cables from Analysis Plus. I quickly realized new definition in soundstaging and placement of instruments and, in a few cases, even the lead vocalist. Clarity, detail and warmth improved, as did bass control and punch. The Calaf had no difficulty to parlay the added nuances the new cables were showcasing. The more I used the Calaf, the more it disappeared into the music and the more neutral and invisible it became. Two of my favorite test songs -- Keb Mo's "Muddy Water" and "I Was Wrong" from Slow Down [CD, OKeh/500 Music BK69376] -- had a pleasing tonal balance, distinct and clear percussion and nearly as large a soundstage as my reference components. Both vocals and instrumental timbres were well reproduced. The Calaf was a little challenged by certain classical music, however. The piano and low or loud sections of pipe organ recordings were slightly opaque, losing some detail and musicality. This occurred in the upper range of the piano and the lower registers of the organ. 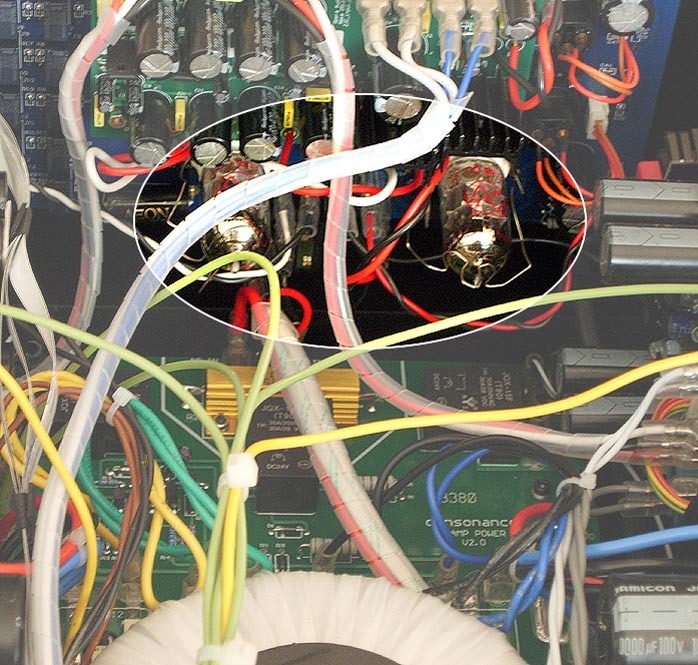 While looking inside the amplifier to take pictures, I could not resist removing the two JJs and replacing them with cryogenically treated MP 6H23n-EBs. This tube swap added a subjective 4-5% to the detail, timbre and clarity of the amp and provided a little more space and depth to the soundstage (a worthwhile improvement for $74.95). It also made a significant improvement to the detail of the upper piano range and cleaned up the lower registers of the organ. At some point in a review, one compares the loaner to the resident equivalent for context. Since now is that time, a redundant point needs to be made. I do not consider this a direct comparison between Calaf, Canary CA160s and Vincent monos but merely an opportunity to evaluate and quantify the Calaf's showing relative to respective purchase pricing. Such comparisons can be used to determine that component A provides 94% of the performance of reference component B. After factoring in retail prices, this can be used as the basis for making a sound purchase decision based on where you want to be on the performance-versus-dollar scale. By way of an example from a few years ago - while listening to the $35,000/pr JMlab Utopias versus the $65,000 Grande Utopias, I determined that one is paying about $30,000 more for a little more bass and a slightly wider soundstage. Midrange and treble presentations were identical (the Utopia and Grande Utopia use the same midrange and tweeter). I bought the Utopias. I placed the Calaf into the reference system and played LeAnn Rimes' "Crazy" from LeAnn Rimes Greatest Hits [Curb Records D2-78829] to compare the Calaf, CA160 and Vincent monos. The Calaf throws a fairly wide soundstage that is not as detailed or specific in the presentation of the instruments or voice placement as the reference amps. As expected, the Calaf was a little bright and edgy on "Crazy" (it's recorded that way), but maintained detail, clarity and composure. Bass was tight and fast but did not have quite the weight, punch or presence of the references. The guitars were liquid and well defined, only leaving out the soft presence of the picks that the other amps revealed. The Calaf presents a softer treble that remains eminently non-fatiguing. Listening to Linda Rondstadt's "Am I Blue", the Calaf did not quite reveal the timbre or detail in her softer passages. The bite from the horns in "Straighten Out and Fly Right" was a little tame in detail and clarity. Yet he Calaf produces a clean and articulate midrange very close to my usual components. This was demonstrated in John Gary's "Beautiful" from The Nearness of You [Collectibles COL-CD-2844] by getting the timbre and resonance of his voice nearly perfect. The violins in several passages were presented without any edge or brightness -- something the Brystons and Vincents can't quite do -- while otherwise coming fairly close. The Calaf is neutral, detailed and articulate and neither bright, lush nor overly warm. The Calaf has solid and controlled bass unless asked to reach down into the lowest organ tones or to replay loud piano passages. Then it has a slight tendency to cloud details. In fairness, I must point out the considerable price disparities between the Calaf and my three times as expensive reference gear - as well as point out that in many cases, the differences were quite small. I enjoyed this amplifier. It is musically well balanced and does not suffer a single large fault that would require compensation elsewhere. You can listen to CD after CD without getting fatigued. This integrated can realistically drive most speakers and provides a high level of quality sound reproduction without breaking the bank. A lot of people will like it simply because it is easy to set up and use. On first listen, the Turandot CD player sounded bright, edgy and not at all musical. 50 hours changed that impression. Before I get ahead of myself, a few specifications on the Turandot. It's got heft like a small amplifier -- 35 pounds -- and is fairly large in size; 17.5/8" wide by 16.5/8" deep and 4.5/8" high. 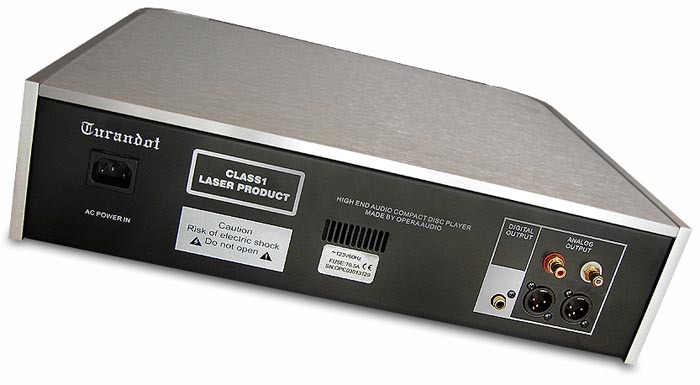 The DAC is a 24-bit/192kHz multilevel sigma-delta affair with synchronous upsampling. Directly distributed clock jitter is said to be less than 14ps. 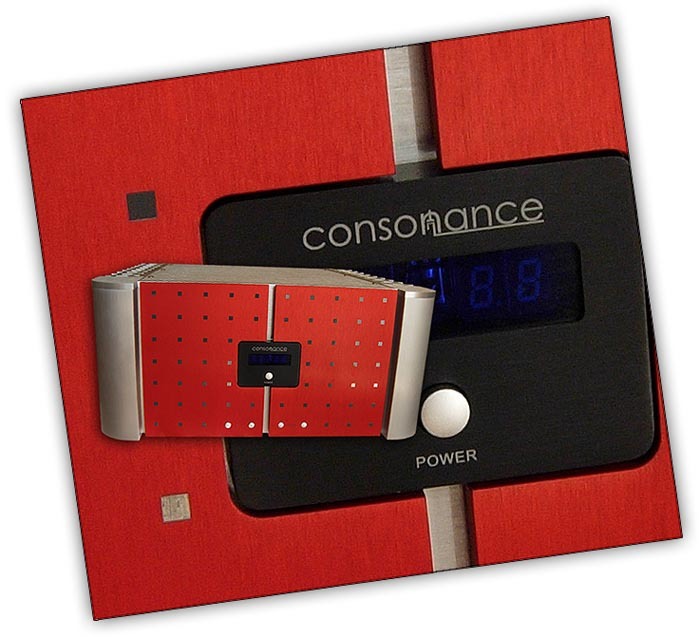 Frequency response deviates less than +/- 0.1dB from 20 to 20 while phase response deviates less than 2 degrees. 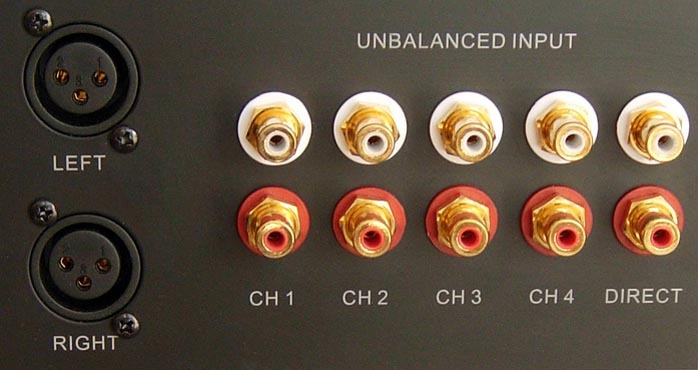 The Turandot sports gold-plated unbalanced RCA and balanced XLR outputs. There is one RCA digital output. The unit has good quality components that are assembled and organized in a well thought-out manner. The Calaf and the Turandot are covered by two-year warranties and supported by a total of 26 US and Canadian dealers, who can answer questions and provide any service required. Both units are manufactured in Beijing, China. The Turandot, like the Calaf, operates in total silence. Following the break-in, I slipped Keb Mo into the tray and hit play. The sound was warm and musical and the soundstage wide and deep. The percussion was detailed and clear while rim shots were quick and sharp. The treble was crisp and clean. Switching to John Gary's "Beautiful" with several long passages of violins that normally betray a hint of brightness or edge, the Turandot was able to replay cleanly. The timbre of his voice was detailed and a pleasant warmth enhanced his five-octave range. Switching back to Keb Mo, I listened to "Everything I Need" and found real clarity and depth in his voice. Bass was tight and controlled. The music was comfortable to listen to, CD after CD, not in the least bit grating. I always like to listen to piano as a good test of a component. I used Willie Nelson's "Always on My Mind" from 16 Biggest Hits [Legacy Recordings 69322] and found the piano detailed and clear even in the quiet passages. The upper registers came through concise and well defined. This was quality performance from the Turandot. I saved my favorite female singer Keely Smith for last and listened to "Imagination" and "Mr. Wonderful" from I Wish You Love [Collectors Choice 61774203702]. Keely's sultry voice was glorious and full, reminding me of the times I have heard her in person. Nelson Riddle's orchestra was lush and well defined across a large and deep soundstage. Keely has always been able to pull me into the music with her great range, detail and feeling for whatever she sings about. 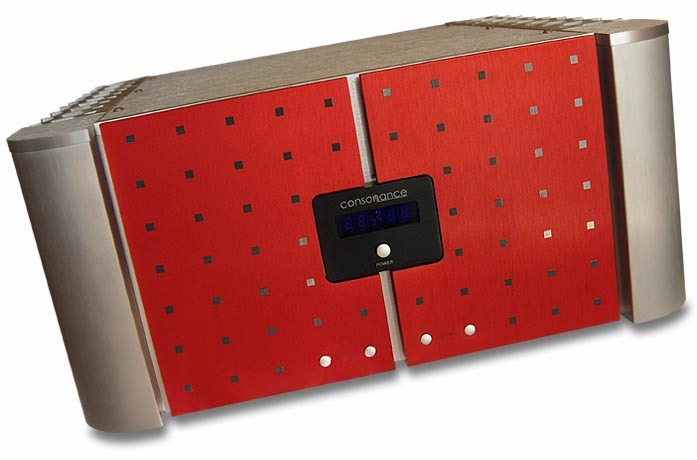 The Turandot is a perfect competitor to my Canary CD100, their retail prices within $400 ($2,400 for the Turandot, $2,799 for the Canary CD100 $2,799). I spent many hours listening to each and found that they differ in subtle ways. Your take on their treble presentation will depend more on personal preference rather than ability to reproduce it - both players are very detailed, transparent and articulate. The Turandot is more neutral while the Canary (which uses two 6922 output tubes) is warmer. Both fill a large soundstage with precisely placed subjects. The Turandot seems slightly veiled on classical music where the Canary remains a little more vibrant and transparent. The difference in midrange presentation is slight. Both replay the male voice with correct timbre and chestiness without turning dark or the least bit cloudy. The Canary has a small edge in percussion, reaching a little deeper into the music to bring out the clarity of the cymbals and the sharpness and attack of the drum. The Turandot excels with female vocals. The nuances are all there - softness with detail, lushness without undue warmth. Brightness or edge are simply absent, softening the recorded forwardness in LeAnn Rimes "Crazy" to palatable levels. The Canary is a little more detailed in its representation of horns and woodwinds. It offers good clarity with an accurate capture of tone and note duration. Piano and organ music were not the challenge to either player I expected. Both were able to reproduce low organ notes and challenging piano scores within the reference system without getting muddy, soft or giving up detail or impact. How well the Turandot and Calaf performed in my system reminded me of a form of synergy between them - they had a superior noise floor to my reference system. On the other side, I cannot really say that together, they did anything else better together than apart. This is really positive. They can be put into another system without causing imbalances to offset thereafter. That's as it should be and a plus. Over the Turandot, bass is very solid, quick and detailed. Jazz with walking bass lines is controlled, sharp and clear. The Turandot really did an excellent job but did not have quite the punch or large room-filling bass presence the Canary produced. Another favorite test is "Orinoco Flow" from Paint the Sky with Stars - The Best of Enya [Reprise 46835-2]. This popular number has often been the subject of discussion in my home when someone comments "that is the first time I have been able to understand the lyrics". True, many of the words are buried in the music, a perfect challenge then for the Turandot and CD100. The Turandot did an excellent job of cleanly detailing the female voice so you clearly could understand the words, being a little more transparent here than the Canary. The Californian meanwhile rendered the frequently loud and deep drum passages with more verve and control which the Turandot reproduced with more passivity. The soundstage on both players was wide and with good placement specificity. Both players are excellent performers and, considering their price, fantastic buys. 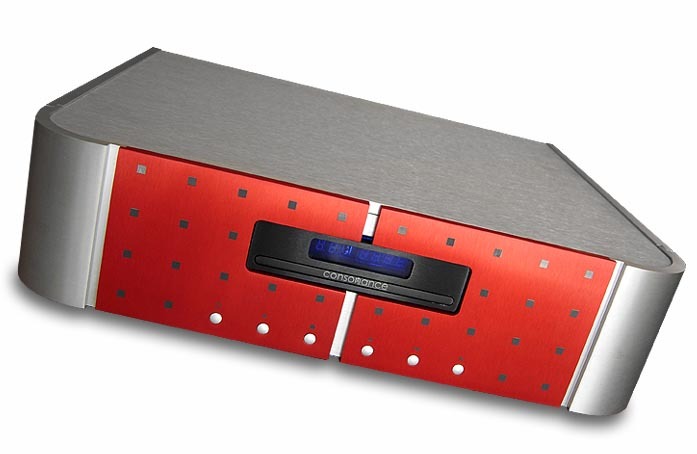 The Turandot is a well-built, high-quality CD player that does not disappoint. I see it fitting nicely into nearly any system. Together, the Turnadot and Calaf can be teamed with most speakers, resulting in a high-quality sound system. As separates, either component would be a great addition to a high-performance system. The Calaf and Turandot, called the Forbidden City, are great musical partners that make it simple to put together a premium system that will be easy to use and enjoy. Even if you find their looks reminiscent of the Lego toys of your childhood, don't let that detract. 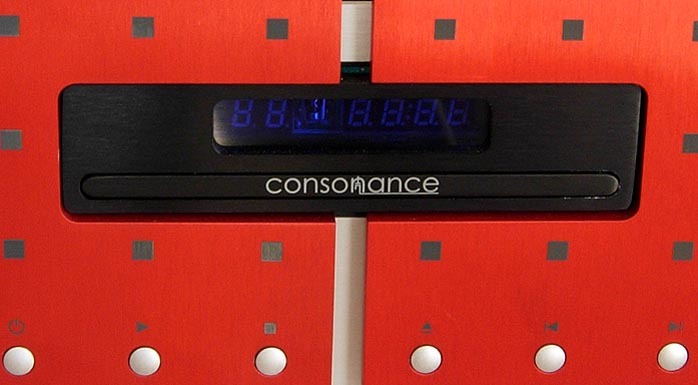 These are high-end components that can be used to build a really terrific-sounding system. The Forbidden City components are highly recommended for consideration!